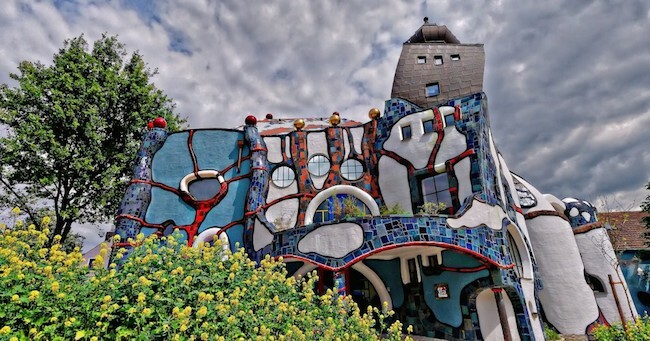 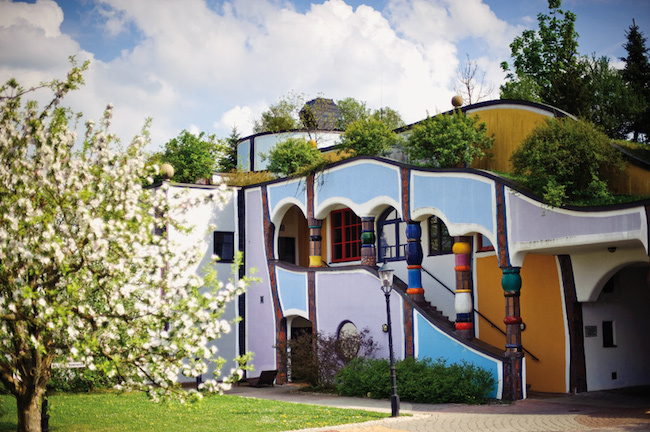 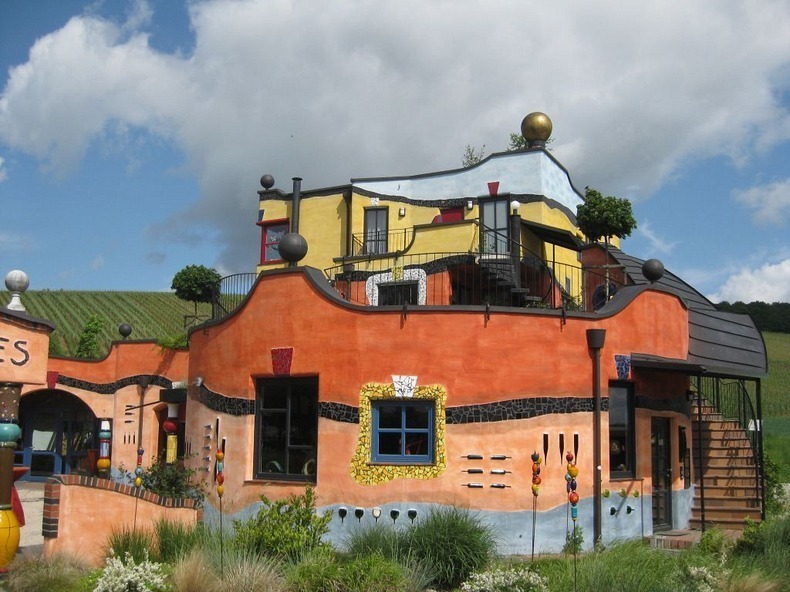 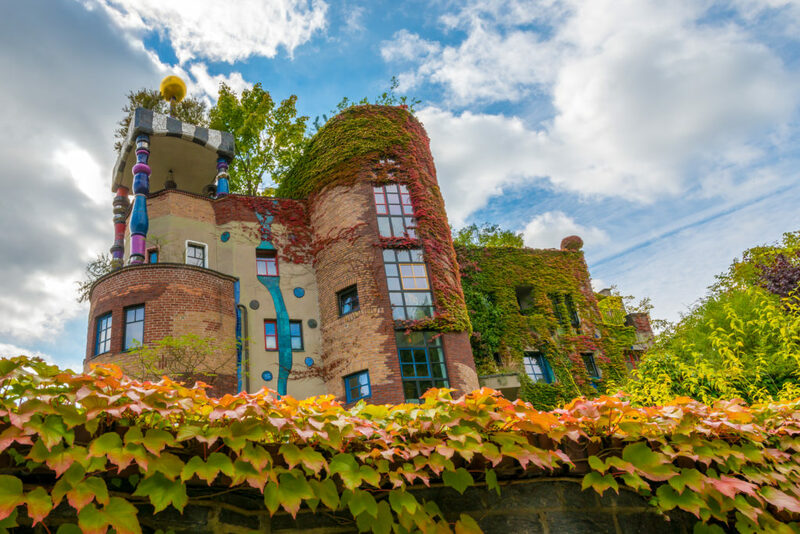 Friedensreich Hundertwasser (1928 – 2000) was an Austrian painter turned architect who loved natural forms and abhorred straight lines. 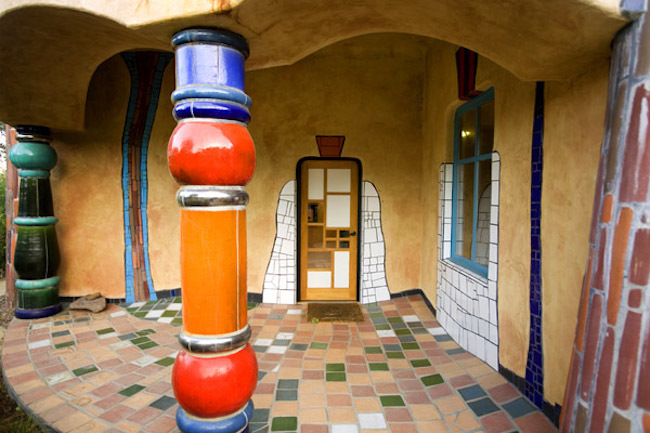 I have always been a fan of his fantastic and colorful imagery. 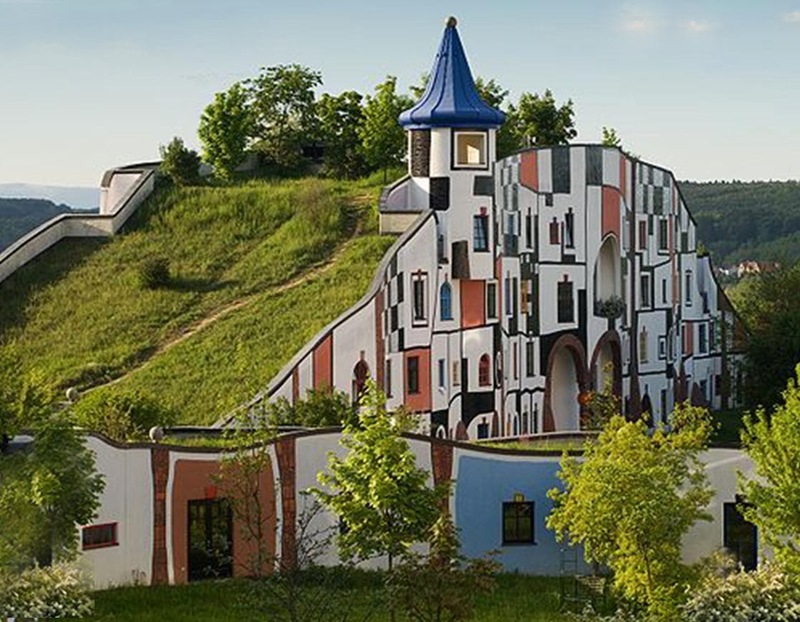 His paintings and buildings resemble each other. 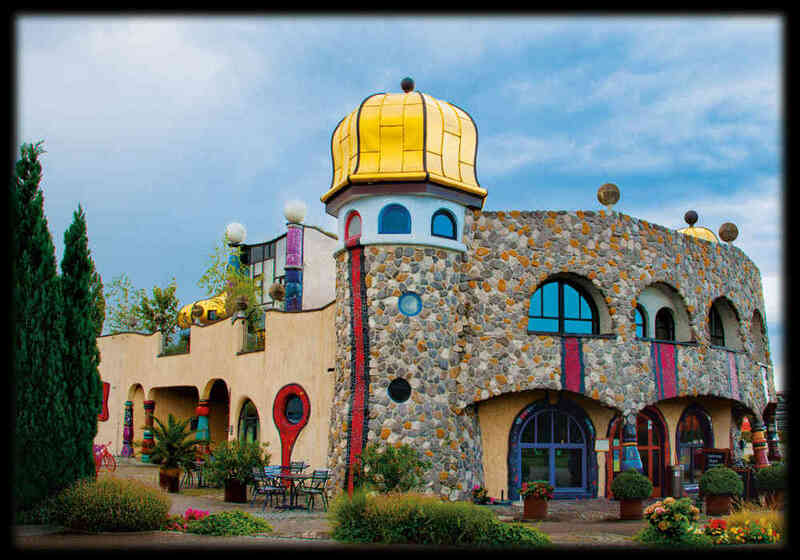 Even though most of his architecture would not fall within the usual concept of “natural building,” in that mostly they were built with more conventional masonry materials, I think that we can all appreciate his marvelous aesthetic. 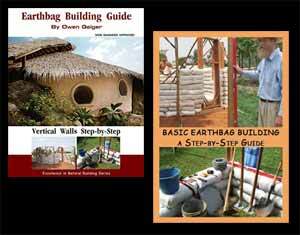 Below are a few examples of his work. 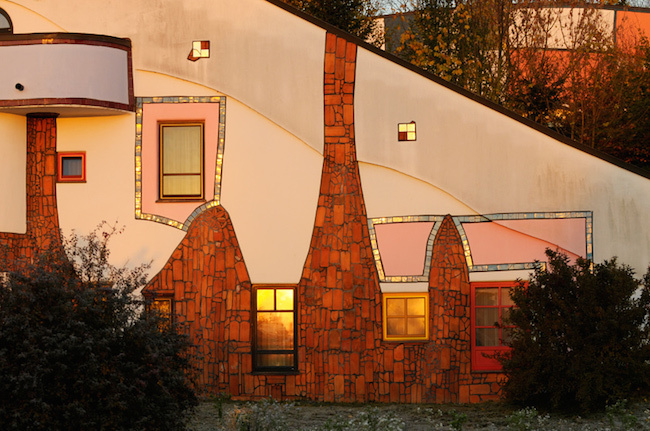 Reminds me of Gaudi .